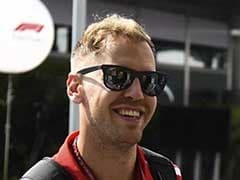 Sebastian Vettel denied the setback would hamper him in Sunday's race. Kimi Raikkonen edged out Lewis Hamilton to the fastest lap in Friday's second practice for the Singapore Grand Prix, but the Finn's Ferrari teammate Sebastian Vettel had his session cut short after he smacked a wall. 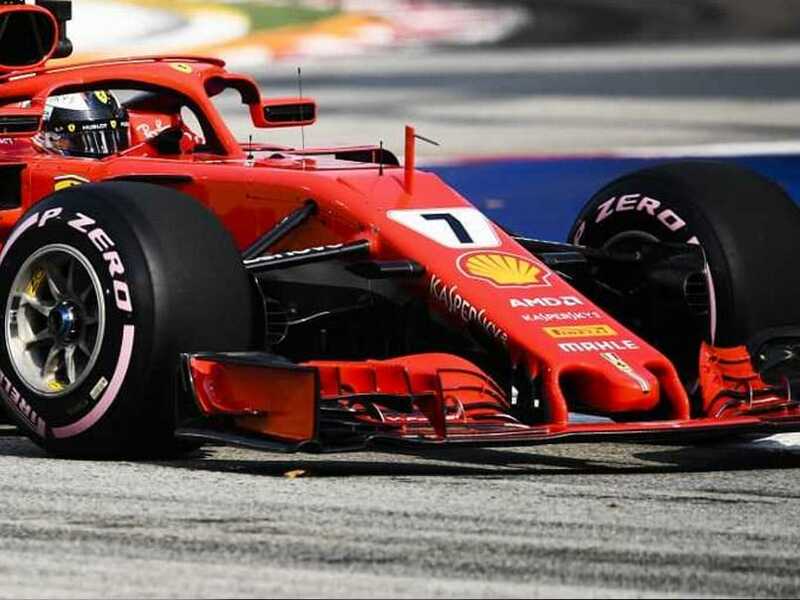 Raikkonen, who will leave Ferrari for Sauber at the end of the season, sped round in 1 minute 38.699 seconds, almost a second quicker than last year's pole position time, and then warned he could go even faster. 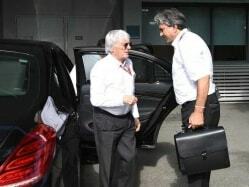 "For sure in the second session I could have driven a bit better," the 38-year-old former world champion told reporters. "I went on the kerbs on the fastest lap so we lost quite a bit of time, but overall it was pretty easy going." 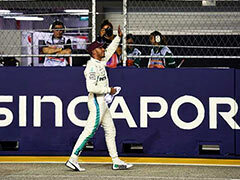 Championship leader Hamilton was just 0.011 seconds adrift of Raikkonen after bolting on the fastest hypersoft tyres for the night session on the spectacular Marina Bay street circuit. 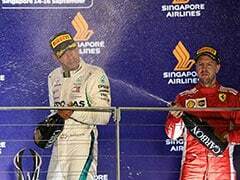 Mercedes, who usually struggle for pace in Singapore, had elected not to use the quickest compound in the first session, in which Hamilton finished sixth. 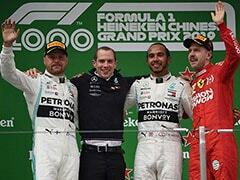 "We were close to the Ferraris, but we will only find out tomorrow how quick they really are," said four-time world champion Hamilton, who finished more than half a second ahead of the Red Bulls of Max Verstappen and Daniel Ricciardo. Vettel limped back to the pits only ninth fastest with fluid pouring from a hydraulic pipe after he bounced off the wall and damaged his right rear and front wheels with 40 minutes of the session remaining. 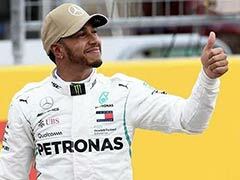 It meant the German, who is 30 points behind Hamilton in the standings with seven races to go, was only able to complete 11 laps under lights in race-simulation conditions. 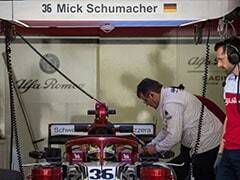 But Vettel denied the setback would hamper him in Sunday's race. "No not at all," he told reporters. "By now I think you have quite good experience reading into the others, what they did and reading into their runs with tyres which will obviously be key for Sunday, but we can recover most of it tomorrow." Valtteri Bottas was fifth in the second Mercedes, less than a tenth of a second behind Ricciardo, with the Renault of Carlos Sainz sixth. Earlier Singapore specialist Ricciardo, who has finished second for the past three years in a row, had led a Red Bull one-two in first practice. 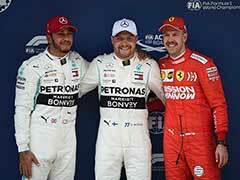 But Verstappen said he did not think the Red Bulls had a quick enough package to challenge Ferrari and Mercedes for pole position in Saturday's qualifying. 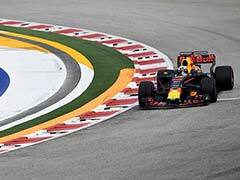 "I think we can still improve with the car," Verstappen said. "I don't think we have the pace to fight for pole, but we'll try to optimise the car a bit more." Ferrari's new signing Charles Leclerc had a moment to forget when he crashed his Sauber near the end of the first session. The 20-year-old from Monaco, who will replace Raikkonen at the Marinello team for 2019, misjudged his exit and clipped the wall hard at turn 13, destroyed his right front wheel and suspension. The Marina Bay track has 23 corners - more than any other on the current Formula One calendar -- and is a severe test for both drivers and cars, with temperatures regularly topping 30 Celsius during the night race. "The track is incredible," said Hamilton. "We're a lot quicker than we were last year, but that also makes the lap so much harder with G forces and it is crazy hot. In the second session, I think I lost almost two kilos."